I never met Prince, but was fortunate to be in his presence on two separate occasions, courtesy of my good friend Evan Theodore Stent (as much as you think you might know about The Artist, this bro knows more. TRUTH). The first time was in the 90s, back in my NYC days at a private record release party for Larry Graham and Chaka Khan in the east village. I had just relocated to NY for work, and before I could unpack one box, I was at a party with industry heads, celebs and music lovers till 3 or 4am. I remember Prince casually walking right past me when he arrived. No heavy entourage or bodyguards, just himself, Larry Graham and a few other people. I was amazed at how chill, laid-back and accessible he was the whole time we were there. Class Act. The second time was the first and only time I got to see him perform live. 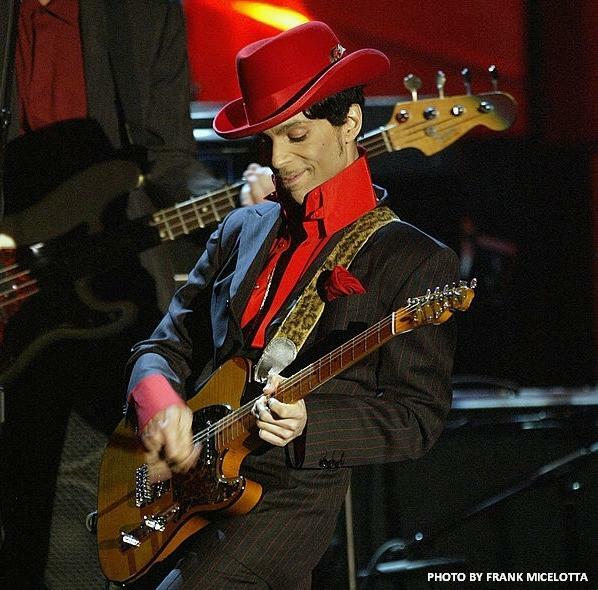 It was in ’04 on the night of the 19th annual Rock and Roll Hall of Fame induction ceremony. The ceremony was held at the Waldorf Astoria in NYC and broadcast on VH1. Prince hosted a private after party/concert at Club Black in Manhattan (now known as Terminal 5). The location was never publicly announced, so you had to be in the loop to even know where it was. The club had an upper level over-looking the stage that was reserved for the guests coming straight from the Waldorf (VIP). The rest of the club was standing room only, first come, first served and we were front row, off center, to the left. I’m a music lover. So, by definition, that would make me a Prince fan. Not the biggest Prince fan…not even close, but music lovers love good music. To say I was mesmerized would be an understatement. It was easily the BEST live show I have ever seen. The band was flawless. The sound was top notch. Perfection. And this brother just got off stage from his own induction ceremony performance a few hours prior…a true testament to his dedication and mastery of Performance as Art. Inspired? You better believe I was! The connection between music and visual art is seamless. It’s all story telling. It’s all connected. It’s all Art. When we look back on our lives and recount all of the significant people, places and things we encountered along the way, we will realize that all of it, the good and the bad, the painful and the pleasant, contributed to the men and women we have ultimately become. All Art is Relative and we have lost an Incredible Artist. Godspeed my brother and Thanks for the Love. This entry was posted in Blog and tagged artist, In the Spirit of Remembrance, Legend, PRINCE, Prince Rogers Nelson, Rob Stull, The Artist. Bookmark the permalink.